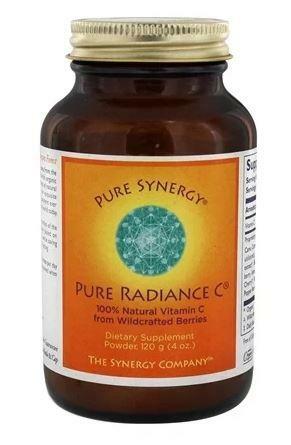 A loose powder form of Pure Radiance Vitamin C.
A whole food, natural, vitamin C supplement with Organic and Wildcrafted ingredients. 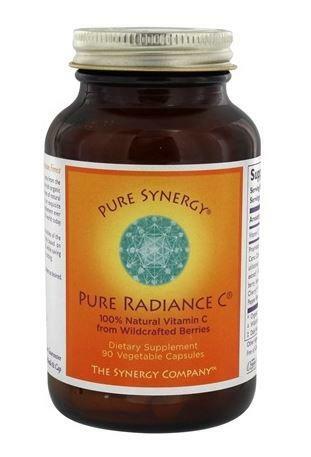 Pure Radiance C by The Synergy Company uses extracts of natural berries and fruits to create this 100% natural vitamin C. Containing no additives or fillers, the main ingredient is Camu Camu berry which is hand harvested from the wild and has a vitamin C content over 30 times higher than an orange. Using whole food ingredients as a vitamin supplement instead of synthetic Vitamin C means your body gets to benefit from not only vitamin C but also antioxidants, phytonutrients and flavonoids naturally occurring in the fruits and berries. Easily digested and absorbed. 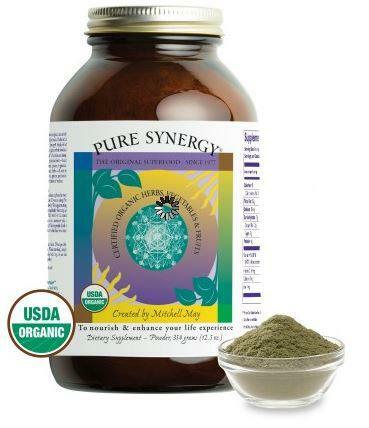 Offers additional support during cold, flu and allergies. Antioxidant activity. Supports healthy hair, skin, and nails. 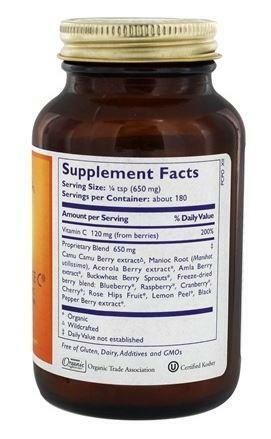 Flavonoids enhance overall well-being. Discover more about the Brand The Synergy Company. 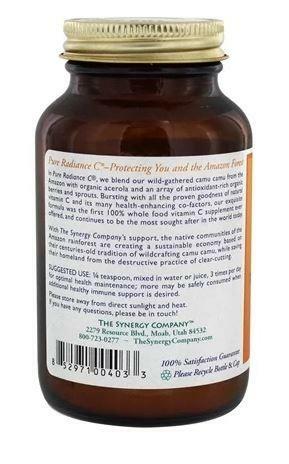 How to use Pure Radiance C Powder; 1/4 teaspoon, mixed in water or juice, 3 times per day for optimal health maintenance; more may be safely consumed when additional healthy immune support is desired. 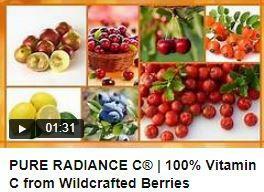 Watch the video to learn more about Radiance C.
Packaging; Recyclable jar and lid.